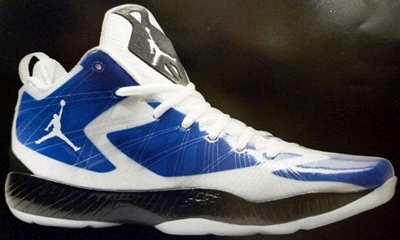 Air Jordan 2012 has been released in several colorways and editions this year. Soon, another edition of Jordan Brand’s flagship model this year is said to be coming out in another edition. Billed as Air Jordan 2012 Lite, this silhouette features the same makeup as the previous editions without the wingtip style panels on the upper part of the shoe, which was the reason why it was tagged as the “lite” version of the shoe. This new edition will debut in an edition with a white upper part accented with blue touches and black midsole. We will update you once the release date is announced! Air Jordan 2012 Q Now Available!